Pyongyang said that it has been working on a plan to launch a medium-range ballistic missile at a US airbase in Guam. This comes after US bombers flew over the Korean Peninsula with Korean and Japanese warplanes. Regarding the circumstances under which the plan would be implemented, the official said that upon a thorough review by the military, it would “soon” be presented to the reclusive Kim Jong-un, to be put into practice at “any moment” he decides to. The spokesman went on to say that the US is “daydreaming” by sticking to the belief that “its mainland is an invulnerable Heavenly kingdom,” and urged the US to immediately halt “reckless military provocations against the state” of North Korea, promising “to make an unavoidable military choice” otherwise. The bellicose statements come after the US Pacific Air Forces [PACAF] confirmed on Tuesday that its two B-1B bombers “joined their counterpart from the Republic of Korea and Japanese air forces” for a 10-hour mission on Monday. US President Donald Trump added fuel to the fire on Tuesday, cautioning North Korea against making any more threats to the US. 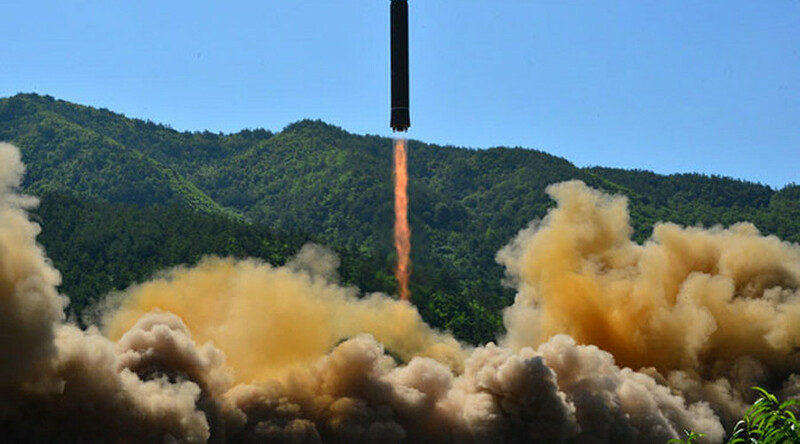 The tensions between the US and North Korea were exacerbated by the adoption of a new round of sanctions by the UN Security Council last week. Apart from trading verbal punches, both parties are flexing military muscle as well. 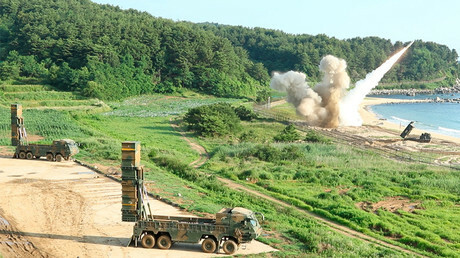 In response to two test-fires of intercontinental ballistic missiles (ICBM) by North Korea last month, the US and South Korea repeatedly fired surface-to-surface missiles into neutral waters close to North Korea. In one of the latest shows of force, the US military test-launched a Minuteman III ICBM missile in response to the latest missile test by the North. Russia and China have repeatedly called for a political solution to the long-standing crisis, and the renewal of the ‘six-party talks.’ Moscow and Beijing are opposed to any further missile launches carried out by North Korea, while they also call on the US to halt military drills in the region. Responding to the rhetoric from Pyongyang, Guam representative in Congress Madeleine Bordallo said that people in Guam are increasingly expressing concerns over the mounting tensions. “We take it all very seriously, particularly the people of Guam. I was getting calls a few years ago, whether people thought they should move off the island,” she told CNN in an interview late Tuesday. She added that she recently discussed the issue with US Secretary of Defense James Mattis and Navy commanders. “Guam is American soil… We are not just a military installation,” Calvo said, adding that he received reassurances from the White House and the military and is going to meet with Guam’s senior military and emergency responders.